Quick & Accurate Control is a part of efficiency. Design & Detail is satisfaction. Your ticket to control. A small 8 key macropad run by QMK and a slider operated by MIDI. Crafted from aluminium and including a Bourns potentiometer, it's robust enough to last a lifetime. Functionality is integral to our products, with our mission to simplify control, the nano. slider helps users adjust variables in applications both quickly and accurately. The nano. slider houses a Bourns® potentiometer, widely used in the audio industry, providing pinpoint accuracy and long-term reliability. Need to replace the slider? No problem, our nano. slider is easy to take apart, modify and maintain with just the use of a screwdriver and soldering iron. We ensure that all products feature industry-leading components. Why? We want customers to experience the best parts; from the processor, to the switch and even the packaging, it is crucial that every piece delivered is keebwerk. approved. nano. slider features Cherry MX Switches and a Bourns slider. An ATmega32 processor is central to the functionality of the device and the USB-C port is an essential premium component. Adobe Photoshop, GarageBand, Final Cut Pro, Adobe Premiere Pro, Adobe Illustrator are just a few of the applications you can use with the slider, combined with the right add-on MIDI application. The nano. slider is designed with freedom in mind; not only can you change the switches and colours, but you can also program your MIDI device to function however you you want. The firmware is open-source, allowing you to easily tinker with the firmware. Alternatively, you can also install a few recommended apps such as MIDI 2 Lightroom, MidiPipe or Power Mixer. All of these apps can offer you greater control of your applications or system volume. The nano. 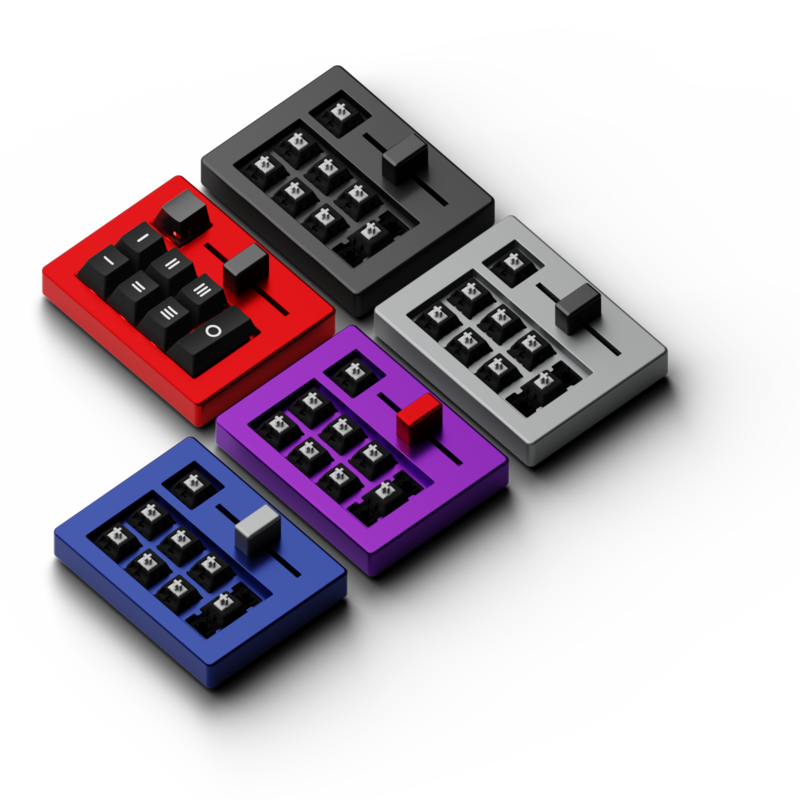 slider is currently being manufactured and is limited to a undisclosed amount of keyboards. There will be limited editions coming out, and stock will be available as long as there are available pieces. The nano. slider is offered in many colours and also comes in limited editions. Use our configurator to design your personal nano. slider. Every model is hand-built by one of our team members and is signed off with our quality check; it can take up to 3 days to properly build and test thoroughly. You can customise not only the colour of the base, but also the top, switches, LEDs and knob. You can customise your nano. slider underglow RGB using QMK to match your device colours. Every nano. slider comes with a full 2 year warranty to cover any problems that might arise during your ownership of the device.